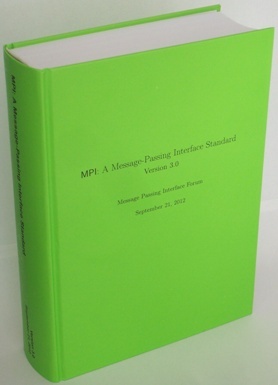 The complete, official Message-Passing Interface Standard MPI-3.0 (September 21, 2012) is now available in one book (hardcover, 852 pages, sewn binding). It is printed and is sold at cost by HLRS. Price is 19.50 Euro or 23.00 US-$ (shipping costs, see below). For all MPI programmer, the standard can be used as a complete MPI reference manual with many examples and advices to users. The last 17 pages contain several indexes to allow quick finding of all relevant information. Weight: 1031 g = 36 oz. Shipping is done by GTI Grenville Trading International. Please contact the publisher Rolf Rabenseifner (rabenseifner(at)hlrs.de) directly. 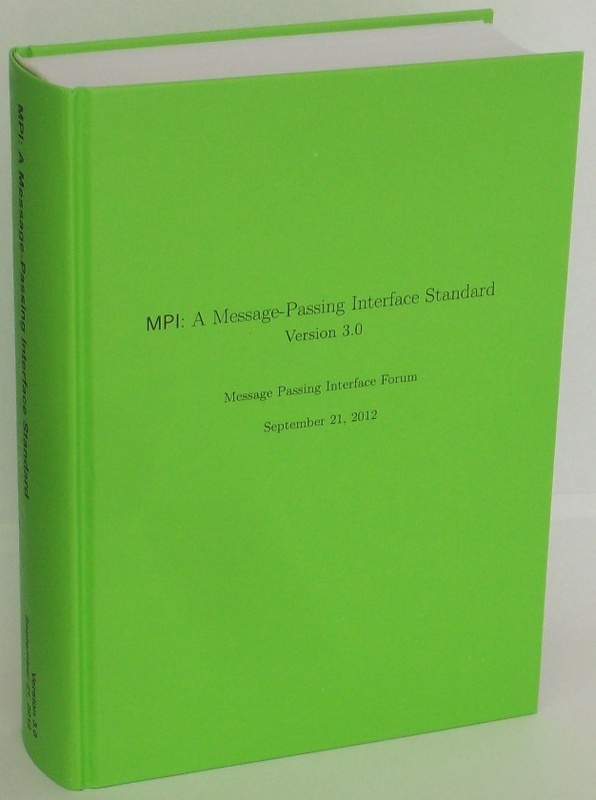 You can view the content of the book on the official MPI Forum's documents page.